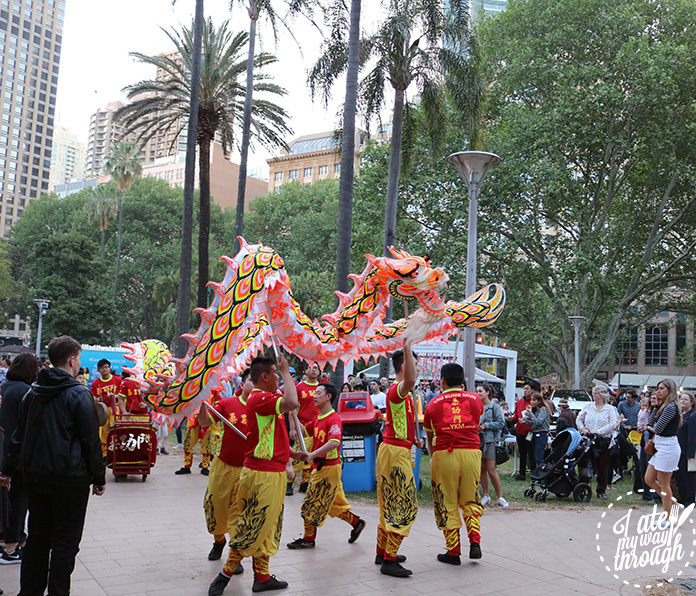 Home Events & Festivals Our top choices at the Night Noodle Markets 2017! 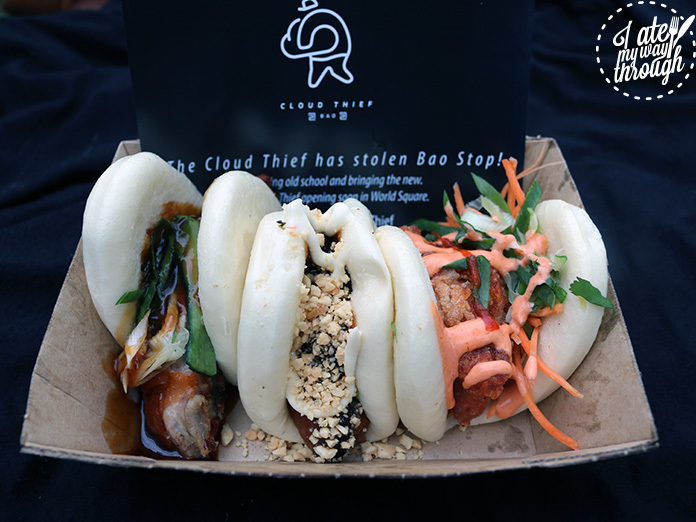 Cloud Thief brought their Bao game, with the Old School Trifecta ($20) being exactly what you would want and expect from classic style bao buns. 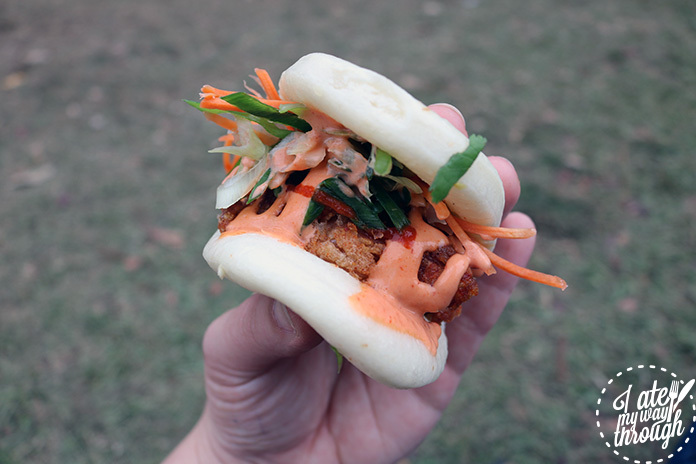 A trio including a Peking duck, a braised pork belly and a fried chicken bao, what’s not to love? Each bringing a different set of elements to the plate making sure every bite was unique. The duck was succulent and the sauce faultless, the pork with the mayo and peanuts was a treat and the spicy chicken with Sriracha mayonnaise kicked your tastebuds back into action. Next door to Cloud Thief, Taiwan Noodle House was serving up piping hot bowls of Taiwanese noodles ($15). 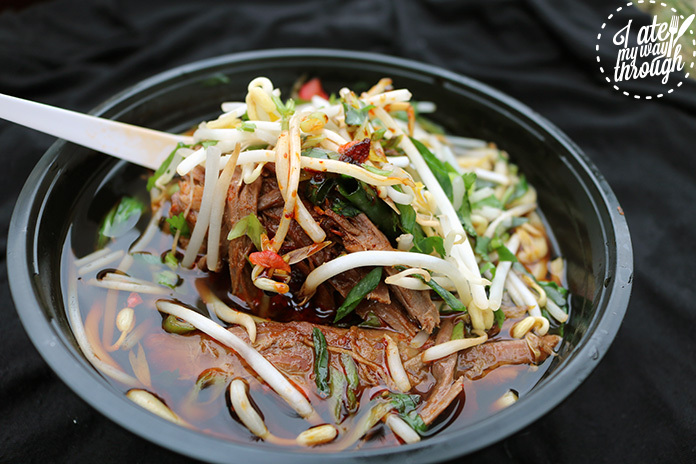 Hand pulled noodles were topped with slow cooked brisket and steamed Asian greens in a five spice beef broth. I found the broth to be a bit watery, but the other flavoursome elements of the dish made up for it. The thick, yet tender pieces of beef brisket had soaked up the flavours surrounding it and was heightened by the fresh snap of the veggies complementing it. Crowd pleaser Hoy Pinoy were back serving their Filipino BBQ meats to the eager crowds who waited patiently in the long lines for their two stands. I opted for the inihaw na baboy ($13). What made me settle on these was the intrigue of what banana ketchup glaze tasted like. I was not at all disappointed when I sunk my teeth into these soft pieces of sticky sweet pork belly. The smaller charred pieces from the BBQ were even more flavoursome, caramelising the glaze. Totally worth the long lines! Another market stall worth the line was the Puffle stand for one of their signature puffles. I couldn’t go past their philly cheesesteak ($15). 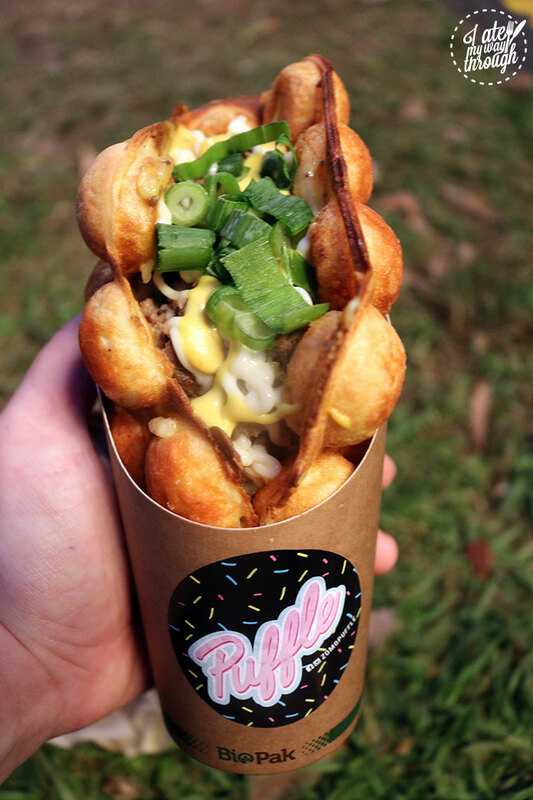 Filled with Bulgogi beef marinated in a Korean style then topped with the signature Puffle cheese, Japanese mayo, mustard and shallots. The Hong Kong egg waffle that encompassed all these delicious ingredients only pushed the flavours over the top. It was like mixing dessert and dinner and I am all for that. I knew when I rolled up to the Chur Burger stand I knew I was in for a treat. Two burgers are better than one, so naturally I had to get one each of their Hoisin Goin’ Bro ($16) and The Notorious P.I.G. ($16).The Hoisin burger had a grilled beef patty, topped with cheese, lettuce, aioli and gained an Asian twist with five spice bacon, Hoisin sauce, rice wine pickles and a prawn cracker. I enjoyed the flavours of the burger, and the inventiveness of the toppings within. 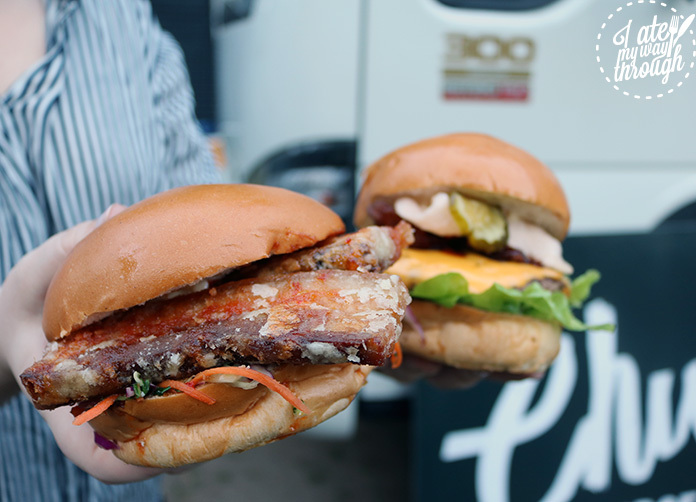 My preferred of the two though would have to be the Notorious P.I.G, as I think with the pork belly it had more of an authentic Asian feel than the beef burger. Crispy pork belly was accompanied by a chilli caramel, crunchy slaw, pickled carrots and a lashing of aioli for good measure. The pieces, or should I say slabs, of pork belly were amazing. They were cooked so well with the meat tender and the crackling crispy. I thoroughly enjoyed the pickled carrots and chilli too giving the burger depth of flavour. Perhaps Sydney’s most famous cake, the strawberry watermelon cake ($9.50) was an unmissable affair. 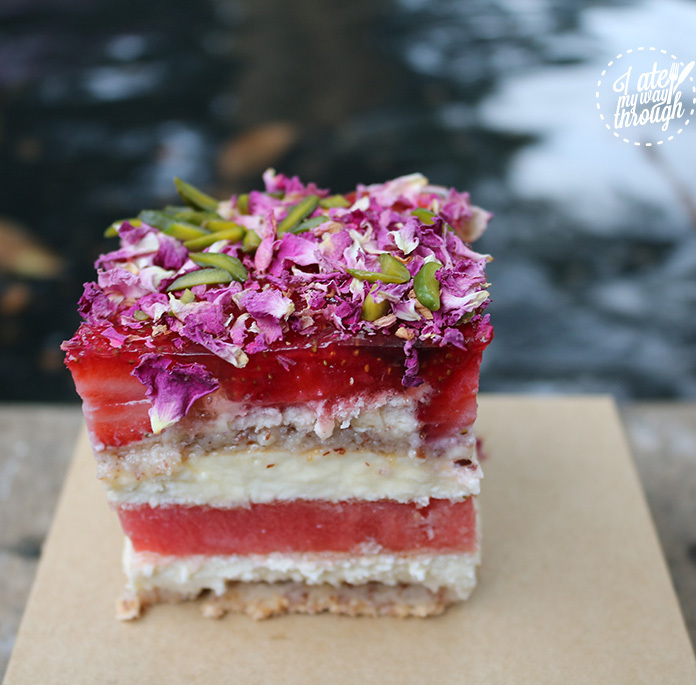 Layers of almond cake, rose flavoured cream, watermelon pieces and gelatinised strawberries decorated with rose petals and pistachios, this cake is a site to behold. It’s gorgeous to look at, and tastes even better. The idea of putting fresh fruit in a cake may seem odd, but everything works together in harmony. Even with traditionally soft flavours, everything is pronounced and keeps you coming back for another bite. While we’re on the line of strawberry and watermelon, Black Star Pastry teamed up with N2 Gelato to bring you their cake in frozen form. 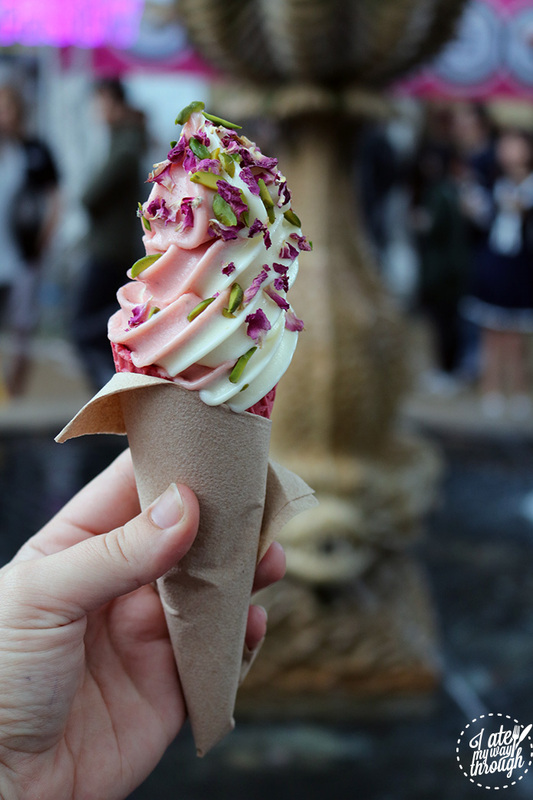 The strawberry watermelon soft serve ($7.50) is basically the cake in a waffle cone and perfect for those who can’t get enough of that watermelon strawberry delight. If I was honest, I liked the ice cream a little more. 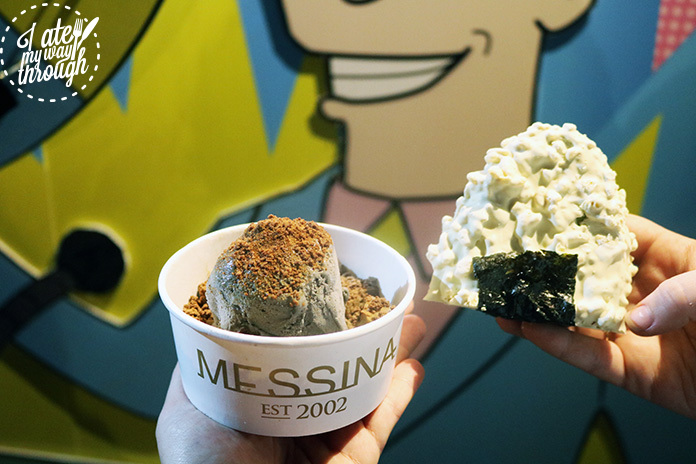 From Messina, The O-Not-Giri ($10) with it’s green tea gelato and pistachio mousse was wrapped in rice bubbles then coated with white chocolate. It was so cute, and tasted pretty unique. All the flavours blended together in a delightful way to create an awesome dessert. The best bits were the pistachio mouse and crunchy bubble coating. The other dessert I managed to squeeze in was the I Think I’m Turning Sesame ($12). Black sesame gelato with jiggly condensed milk coffee jelly, miso crunch and banana miso bread on a bed of vanilla cream and sprinkled with coffee powder. The banana bread bites had a very strong flavour which was quite nice with the milder flavours of the other elements. 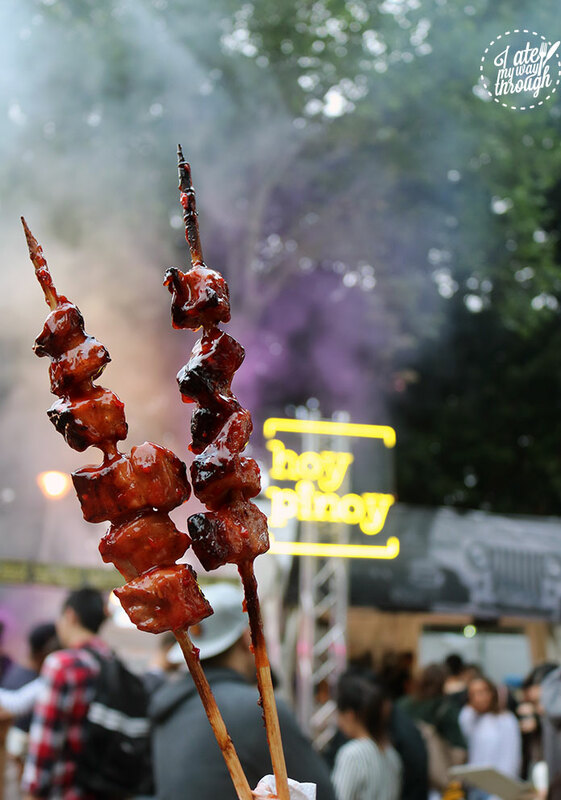 WIN double passes to Taste Of Sydney 2010!